The restaurant is currently hiring for various positions. A new restaurant is coming soon to Highway 96 in Warner Robins. 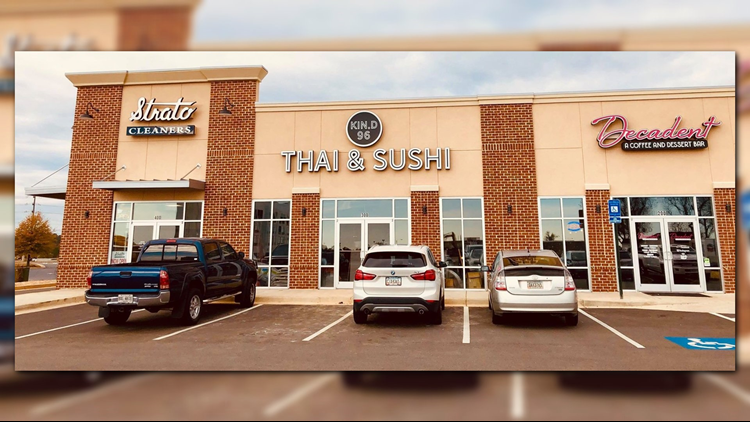 Supranee "Kook" Sritan, who co-owns the restaurant with her sister Kai Sritan, says the Thai and sushi restaurant is expected to open late January. In addition, she and her sister own Thai Pepper located in Warner Robins and Kai Thai in Milledgeville. "It will be a little different from Thai Pepper," she said about the new restaurant's menu. "There will be more choices. KIN.D96 will serve authentic Thai food, Japanese food (hibachi style) and sushi. The restaurant is also hiring for various positions including sushi chefs, chefs, servers, hosts, kitchen helpers and dishwashers. Anyone interested in a position at the new restaurant can fill out an application at KIN.D's sister location, Thai Pepper, located on Russell Parkway in Warner Robins or click here to send a message to the Thai Pepper Facebook page. KIN.D96 will be open for lunch from 11:00 a.m. to 12:30 p.m. and for dinner from 4:30 p.m. to 9:00 p.m. Mondays through Thursdays, for lunch from 11:00 a.m. to 12:30 p.m. and dinner from 4:30 p.m. to 9:30 p.m. on Fridays, from noon until 9:00 p.m. on Saturdays and closed on Sundays. The restaurant is located at 1057 Ga. Highway 96, Suite 300, Warner Robins, Ga. 31088.